Approximately 4,000 live on the Flathead Reservation in Montana, and 2,800 members live off the reservation. The Flathead-Kalispel, also known as the Pend d’Oreilles, are a Native American people of the Northwest Plateau who predominantly reside in Montana and eastern Washington. More specifically, they reside in Plains, Montana, westward along the Clark Fork River, Lake Pend Oreille in Idaho, and the Pend Oreille River in eastern Washington. They are divided into the Upper Kalispel (Upper Pend d’Oreilles) and the Lower Kalispel (Lower Pend d’Oreilles). Upper Kalispel people are enrolled in the federally recognized Confederated Salish and Kootenai Tribes of the Flathead Nation in Montana. 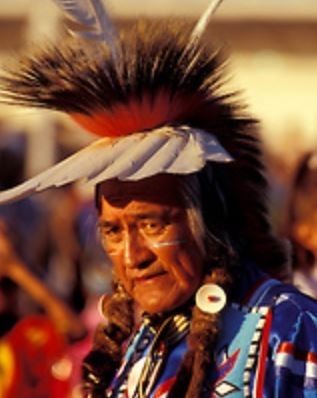 The Lower Kalispel people are enrolled in the Kalispel Tribe of Indians in Washington. Their predominant religion is Roman Catholicism. However, evangelicals are engaging them including Baptists and other non-denominational groups. Pray that evangelical Kalispel will "go and make disciples of all nations". Pray for Kalispel to listen and obey the teachings of Christ everyday.